A Hackathon is an event that starts at a schedule time and has a predefined duration. During this interval, participants solve interesting problems by writing code. At the end of the event, participants demo their creations to a panel of judges. Hackathons are a great way to get developers and other creative people together and working on building ideas into web and mobile applications. Imagine if this creative energy could be channeled to further your social mission. Many big companies like Google, Facebook and LinkedIn organize regular hackdays within their companies to give people an opportunity to come up with new ideas that help their users. We are comprised of software engineers, ui/ux designers, product developers, project managers, thinkers and founder. The Muslim Hackathon (#muslimHackathon) series run and power hackathon events inshallah to present problems, form teams and solve the problems using each of our individual strengths in technology. A platform for Ummah to come forward discuss different issues from different organizations & institutes and try to solve in different hackathons. Technology innovication platform for the Ummah. Recap Details - Find out who won! 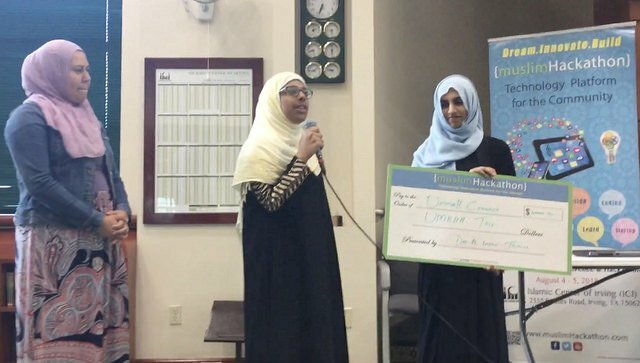 Muslim Hackathon wants you! Join our team to help UMMAH in technology innvoication platform. We wants people with various backgrounds, talents, and skill levels. Everyone has something special to offer...including you. A Project of Ummah Technology.